Online lenders’ struggle with fraud is driving them to join new networks designed to find links between fraudulent loan applications and signs of loan stacking. Lending Club, Prosper Marketplace, Marlette Funding and Avant are among those that have joined such a group in the past month. Fraudulent applications are surging across the board, said Jerry Dixon, chief information security officer of the cybersecurity firm CrowdStrike. Just as much, if not more, of an issue for online lenders is loan stacking, where a borrower obtains loans from multiple online lenders at the same time, slipping through their automated systems due to hasty algorithmic underwriting and patchy reporting of the resulting loans to credit bureaus. This can result in online lenders making loans without the full picture of the borrowers’ obligations and deteriorating ability to pay. Stackers aren’t necessarily fraudsters. They might be people in financial difficulty. In some cases, a person or business legitimately qualifies for more credit than one lender will offer. Judgment calls have to be made. 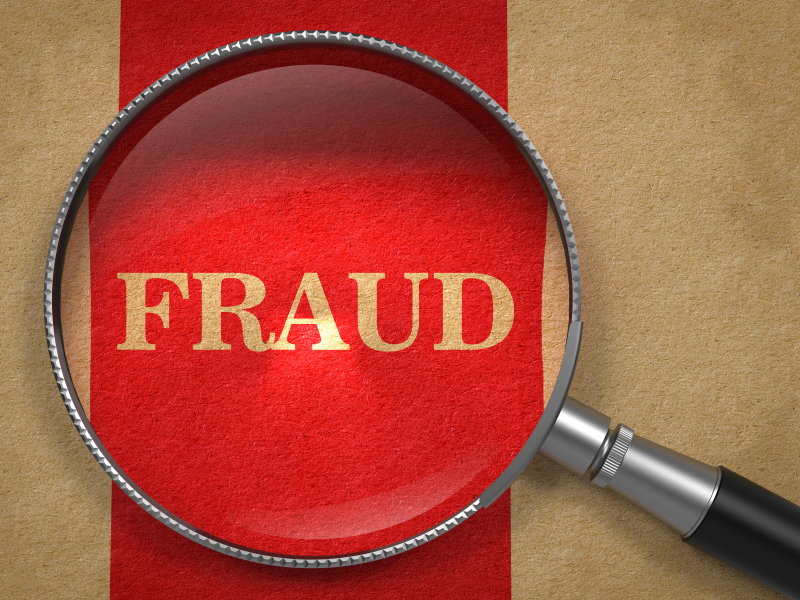 On the small-business side, fraud tends to come from people setting up fake businesses. This happens less frequently, but the loan amounts can be higher. Fraud risk doesn’t just affect the purely online lenders like Lending Club and Prosper. It’s also a concern for any institution that takes loan applications online, including the likes of Goldman Sachs, SunTrust, and Wells Fargo. Vendors are rushing to help. ID Analytics and TransUnion both announced in recent weeks fraud networks designed to provide visibility to online lenders. So if someone received a loan from Prosper and then applied at Lending Club, both companies would be notified (if they were both in the same network). “Most of the fraud we see is conducted using stolen or compromised identities as opposed to synthetic,” DeCosmo said, meaning identities that are made up, sometimes from bits and pieces of real ones. However, since the Social Security Administration went to randomly generated Social Security numbers, synthetic identities are definitely on the rise, he said. Online loan fraud with a synthetic ID takes longer and is harder to execute because you have to set up a bank account and establish a credit record with the synthetic identity to be successful. Al Pascual, a senior vice president and research director at Javelin Strategy & Research, points out that it’s not just individuals and rings of people conducting fraud. ID Analytics formed its Online Lending Network in late October and has recruited about a dozen online lender members, including Lending Club, Prosper Marketplace and Marlette Funding. It’s focused mainly on loan stacking. The vendor’s technology is meant to thwart online application fraud of any kind, including credit cards or deposit accounts. Many of its clients are wireless providers, marketplace lenders and traditional online lenders. A lender can use that information to delay its offer or application or contact the consumer to determine whether he intended to accept the other offer. ID Analytics also tracks soft hits – consumer-initiated credit pulls that don’t show up on the credit report. Lenders are not allowed to see this activity, per the Fair Credit Reporting Act. But because ID Analytics’ tech platform was designed to solve fraud, the Gramm-Leach-Bliley Act allows it to collect that information and notify lenders of consumers who are receiving multiple offers, so they can slow down their decision-making process and prevent the consumer from getting three or four loans in seconds. ID Analytics also compares applicants against a repository of information about bad actors. The company hopes that enough online lenders and wireless providers will join the network to provide a clear view of borrowers’ activity across the board (at least those who use their real identities). ID Analytics estimates that its online lending network currently sees two-thirds of marketplace lending volume. TransUnion announced a similar fraud prevention network, Fraud Prevention Exchange, in early October that includes Lending Club and Avant. The effort is run by Pat Phelan, a senior vice president in the innovative solutions group at TransUnion, who founded an online identity verification company called Trustev that TransUnion acquired last December. TransUnion puts code on each lender’s website that lets it look at things like behavior (e.g. how fast the loan application is filled out), IP address proxy, network location, operating system, and browser – a total of 600 attributes . It looks to see if the device or IP address has been seen anywhere in its network. The network also does data verification based on TransUnion data. It then searches the network for other applications coming from the same identity and informs the lender of any risky behavior. It provides a risk score on each applicant’s physical and digital identity. The network also looks for people shopping around at different lenders for loans. “While shopping around isn’t necessarily an indicator of bad behavior, high shopping around leads us to worry, and high completed applications for loans is certainly an indicator of bad behavior,” Phelan said. Pascual sees these fraud networks as a partial answer.